“Emergency activity where Washington really stands apart. And I think you really deserve a lot of credit here. 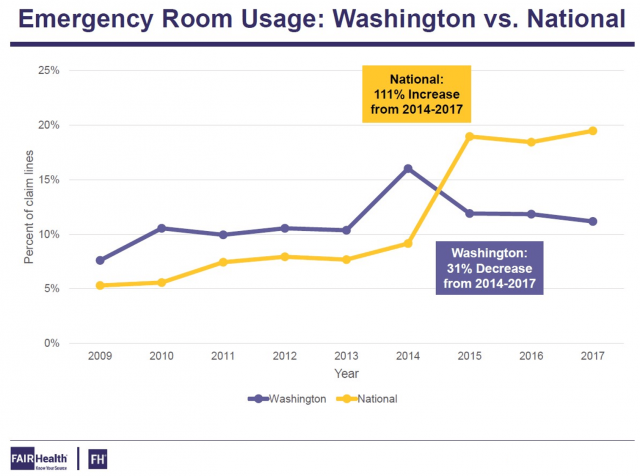 Washington is one of the few states where you’re seeing a bending of the curve in terms of utilization in the emergency room. While there’s been over a 100 percent increase around the country 2014 to 2017, in Washington you’ve actually seen a decrease in utilization. 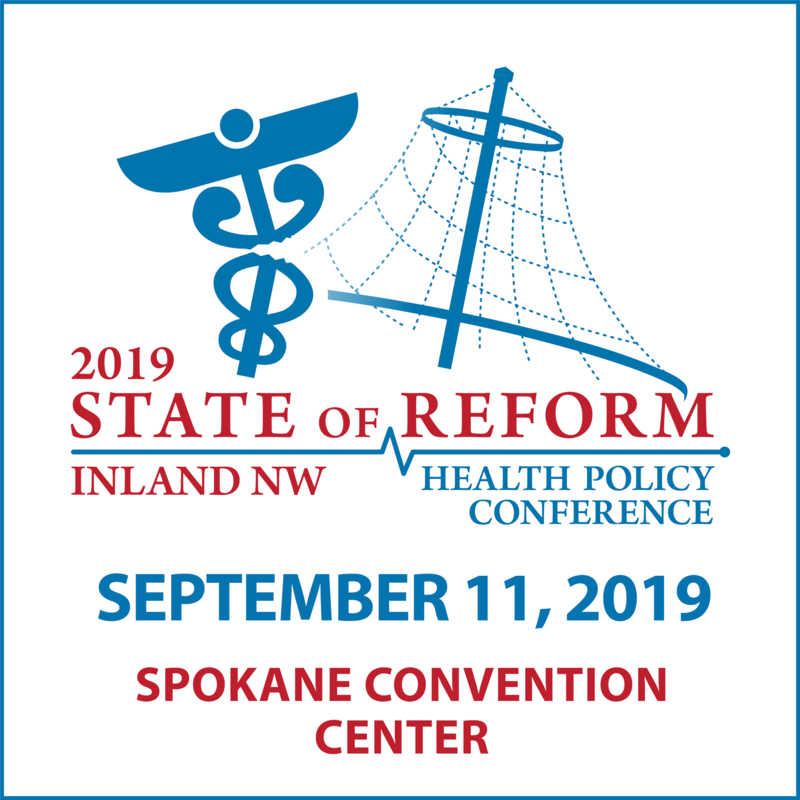 “It seems as though you’ve been very effective in public education campaigns in explaining to the population when it’s appropriate to go to an emergency room when there may be a step-down facility that might be more appropriate. Because clearly you can see that it is unusual from the data that we’re seeing to see that decrease. Also the fact that there are so many other outlets with the urgent care centers and the retail clinics you may be seeing a siphoning off in an appropriate triage. When you look at the diagnosis in the emergency room again these are the top ones, cardiac events being number one, just like in the rest of the country, general symptoms being number two, with injury of the body three. And the general symptoms in the second place, you may think, well, if that involves fever malaise and headache, is that more of an opportunity to triage and move those to other facilities? 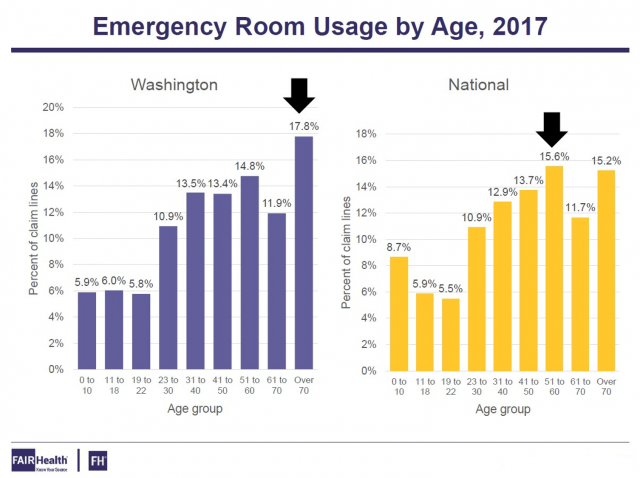 However when you look at the age cohort that is utilizing the emergency room most frequently it’s exactly what you would want to see or what makes sense.